RAPID CITY, S.D. 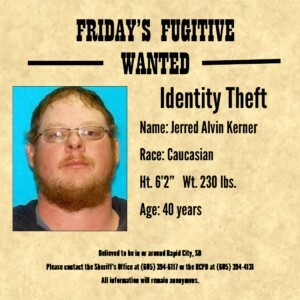 — On Friday the Pennington County Sheriff’s Office announced that it’s looking for Jerred Alvin Kerner. 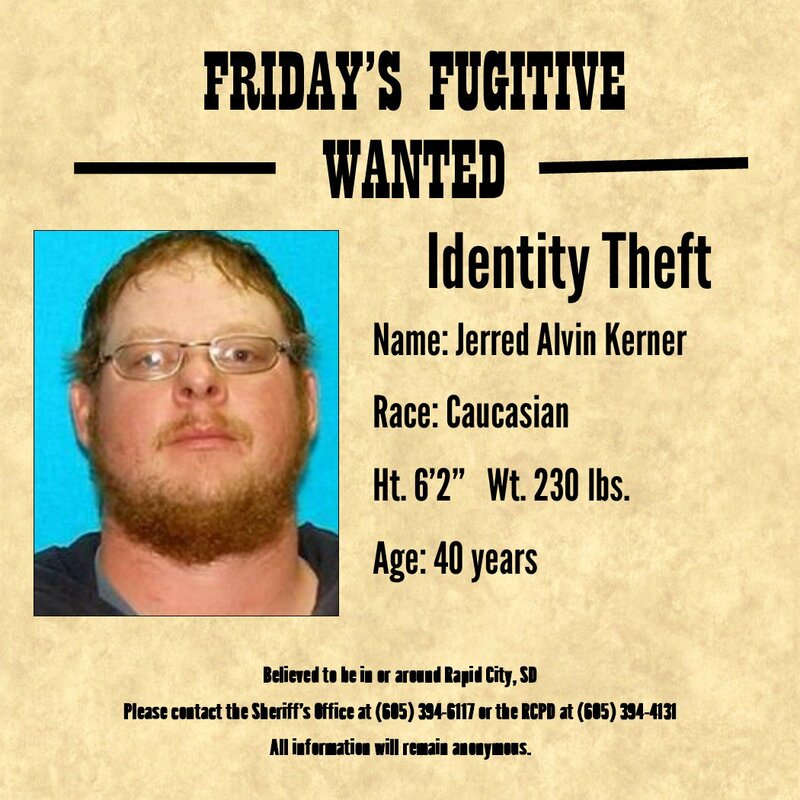 A felony arrest warrant has been issued for Kerner for four counts of identity theft. Police say they believer Kerner is in or around the Rapid City area. Kerner is 6 foot 2, weights 230 pounds and is 40 years old. Anyone with information should call the Pennington County Sheriff’s Office at 605-394-6117.